Seems like everyone liked the larger thumbnails from last week (myself included), so they are staying! 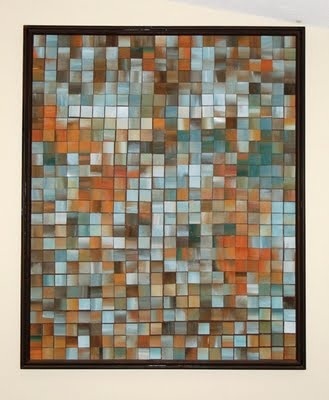 Last week's fan favorite was a fabulous DIY art piece made from a "MacGyvered palette" by Kelly Simon Says. 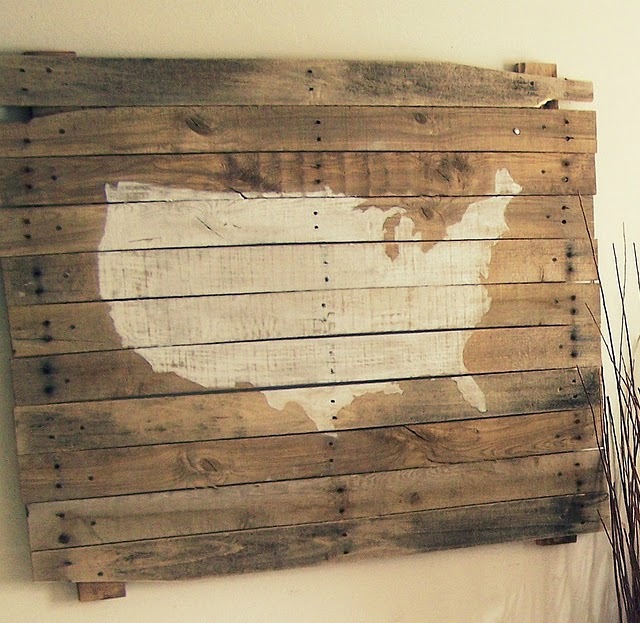 Another fabulous work of DIY art (including a tutorial) was shared by Salvage Savvy. Tiffany at LemonTree Creations shared her daughter's adorable Pinwheels and Polka-dots birthday party. You'll have to click over to see the Starburst candy pinwheels...I'm gonna have to try those! 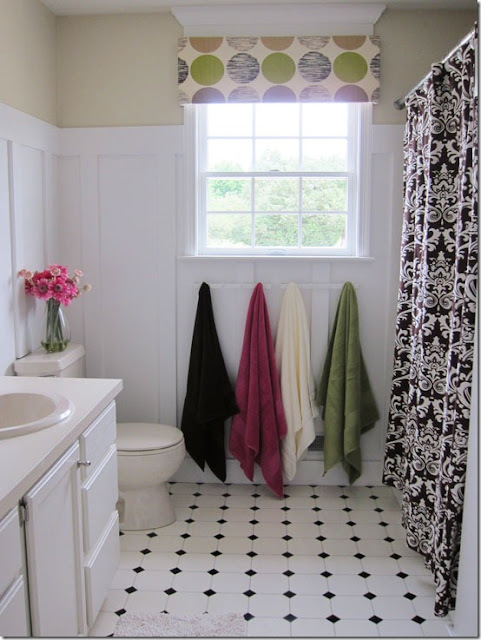 In My Own Style shared a fresh and pretty bathroom makeover. Lovin' the board and batten treatment in this room! 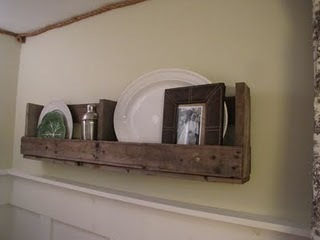 Finally, I love all the different uses for palettes that have been floating around the internets of late...but this shelf by Painted Home had me at "hello". Love it! I'm in LOVE with that DIY art piece from Kelly Simon Says. Thanks for hosting! Again, again... you are the hostess with the mostess! Thank you! Thanks for hosting...having fun visiting around here! Thank you for hosting another fabulous party! Thank you so much, Wendy for featuring my pinwheel party. You made my day! I was so excited to click on The Shabby Nest as I do each day and find a picture of my party! Woohoo! The other features are fabulous. That DIY art piece at the top is truly amazing. Wow. As always another wonderful party. Thanks again for hosting this week. You are one of my favorite blogs!